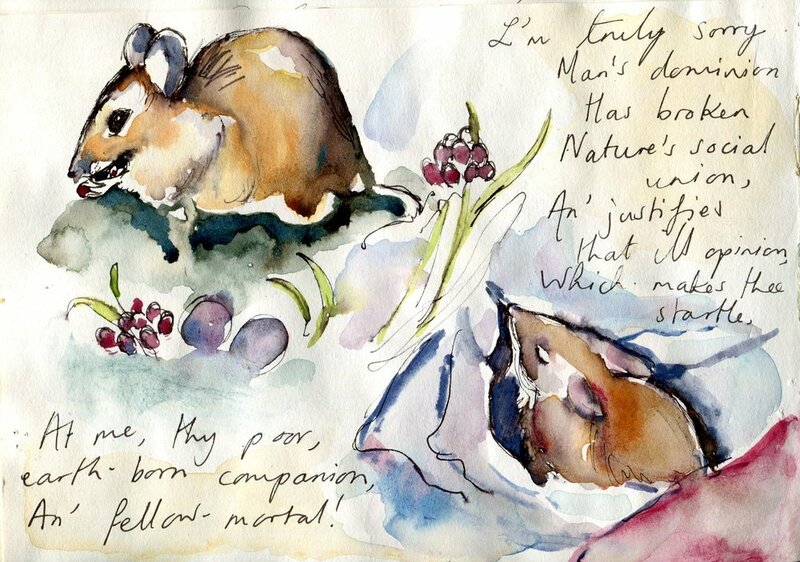 Nearly 300 years later, I felt the same unity with nature on uncovering a tiny mouse making its home in my pile of blankets that the Scottish poet captured so many years before me. 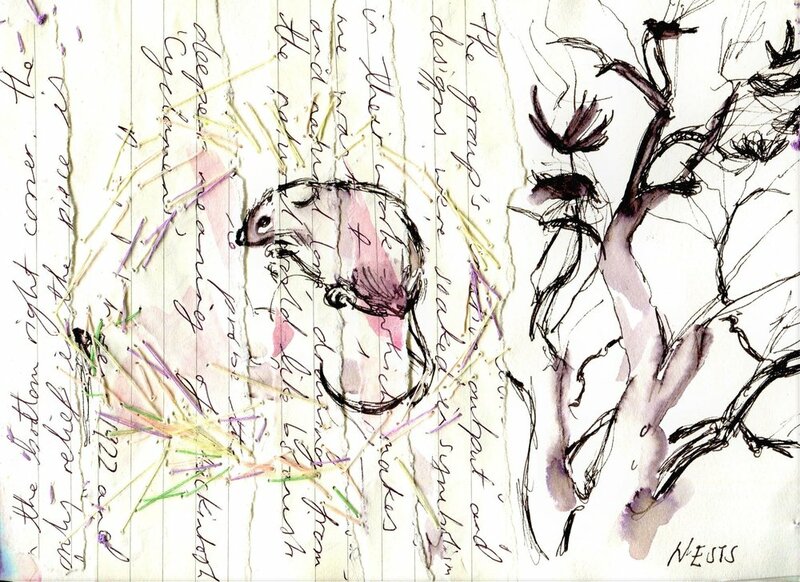 It was this little ‘earth born companion’ that has inspired my drawings, from watching its little body scurry across the floor in the firelight and shelter from tempests and storms in the same way we sheltered and drew nearer the fire. It is this unity with nature that has inspired artists and poets for centuries that I think is so valuable, and this human kindness towards mice and men that is such an essential need in our society.